Does Free Remote Monitoring and Management Software Really Exist? Today, when most people are offered something free of charge, they are skeptical, and rightfully so. Most of us have received free lunch offers which involve someone pestering you to invest in time shares and this can certainly ruin a good meal. In other words, there are no free lunches but there is free remote monitoring and management software available today. So how is this possible and why would anyone be willing to give away such useful and effective programs for nothing? Surely there must be a catch, but not so fast. Let's look at what ITarian has to offer, before making any hasty decisions. Why Would a Company Give Away Its Software? Open source software (like free rmm software) allows anyone to tweak and make improvements to the program. This is a great way to get all the bugs worked out without the programmer having to do all the work. Plus, it lets other minds in on the project with different insights, abilities and views. This is how free Web browsers and programs like Firefox, WordPress, OpenOffice, VLC Player, Notepad and many others gained their fame and popularity. Still want to know why companies give this good stuff away? OK, it is one of the best sources of advertising and promotions you can take advantage of. Think about this, if you are trying to get people to use your products, you could try to sell them, but people naturally resist things being sold. 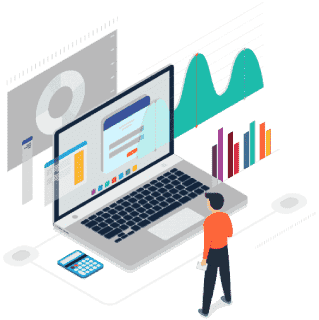 However, everyone is looking for "something for nothing" and you will have no problem giving away remote monitoring and management applications or anything else for that matter. You could give away garbage on the street corner and before long someone would be there to take it. This is one of the reasons good things like free rmm programs are so easy to give away. Advanced endpoint protection - enhanced protection from many kinds of malware programs. 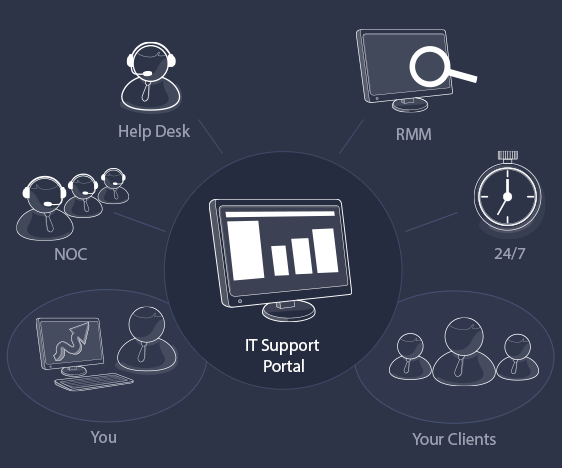 Along with our free remote monitoring and management software, you can include this feature. Using special technology, it prevents bad programs from attaching themselves to computers and smart phones without interrupting the use of equipment. Zero Day attack prevention - one of the most dangerous and catastrophic events involve "unknown holes" in software and they allow criminals to get in before the problem has been identified. Our Automatic Containment stops this by isolating unknown processes. Better to be safe than sorry. VirusScope - how do you know if your free rmm program and data are safe? VirusScope has the ability to analyze suspicious behavior and unknown processes, to determine what is going on. HIPS - wouldn't it be great if your RMM program could be upgraded to include host intrusion prevention? Now it can. Perhaps one of the best things about ITarianfree remote monitoring and management software is "no obligation". You never have to buy anything if you don't want to. You can enjoy all the benefits of our Endpoint Manager Module and pay nothing. There is absolutely no reason "not" to try this, because you are not investing any of your hard earned money. As we have explained in this blog post. There is no charge for the Endpoint Manager Module. It is open source and has been developed and tweaked by some of the best minds in the industry. We offer it to you because it is good business and we are proud to be able to give away such a fine product. However, if you want a free lunch, you'll have to ask a friend to buy or visit the nearest soup kitchen. But there is good news. This software is free to use as long as you like with no trial period. Call (973) 859 4000 ext 3025 for a live demonstration.